A flagship GPU launch by NVIDIA was the last thing we were expecting in the thick of Summer, especially given the market positioning of the GeForce GTX 1080, with some partners running riot with pricing (>$800 prices for some cards) and questionable market availability. NVIDIA managed to surprise us nonetheless by announcing its TITAN X Pascal graphics card barely 10 days ago, with market availability beginning 2nd August, 2016 and our review today. The most interesting aspect about this brazenly expensive graphics card is its branding. 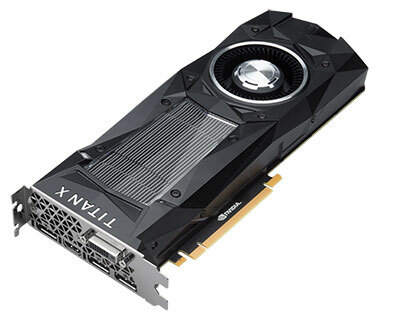 You'll notice that NVIDIA dropped "GeForce GTX" from its model name, simply calling it the "TITAN X Pascal". This makes "TITAN" a consumer graphics brand unto itself. Only NVIDIA's third since GeForce and Riva. This achieves two things. First, it adds to the exclusivity of this SKU, elevating TITAN above GeForce. Second, it adds a bit of ambiguity to whom this product targets as a buyer, letting NVIDIA get away with its steep price tag. NVIDIA changed tactics to the way it approaches expensive graphics cards with this generation. Earlier, the company would develop a performance-segment chip addressing sub-$600 price-points; and one "big chip" based on the architecture with which it powers high-end GeForce products and Quadro (professional graphics) and Tesla (HPC) products. NVIDIA would find itself with unused on-die components - such as FP64 (double-precision) CUDA cores that made their way to GeForce products - making up a bulk of company's sales for the silicon. This is something NVIDIA is avoiding with the current generation by developing two "big chips", the GP100, which made its debut with the Tesla P100 HPC accelerator featuring FP64 CUDA cores and exotic HBM2 memory, and the newer GP102 silicon, which is designed keeping in mind consumer graphics and professional graphics applications that don't use double-precision compute. This chip also trades HBM2 for the more affordable GDDR5X memory. The reviewed TITAN X Pascal is the first product based on the GP102 silicon. 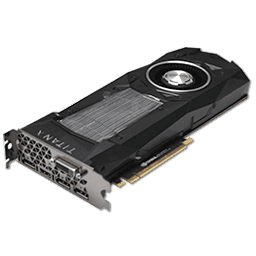 It physically features 3,840 CUDA cores spread across 30 streaming multiprocessors (SM) and six graphics processing clusters (GPCs) from which 3,584 are enabled on the TITAN X Pascal. The GP102 is in essence a 1.5X upscale of the GP104 silicon. Also featured are 224 TMUs, 96 ROPs, and a 384-bit wide GDDR5X memory interface holding 12 GB of memory. Due to lack of any real competition from AMD in the current generation, NVIDIA gets to be cocky with its pricing. NVIDIA is pricing the TITAN X Pascal at a staggering $1,200. The company is directly marketing the card, doing away with add-in card (AIC) partners (eg: ASUS, EVGA, Zotac, etc.). The company is also supplying the card through the OEM channel, to pre-built gaming PC vendors (eg: CyberPowerPC, Alienware, etc. ).